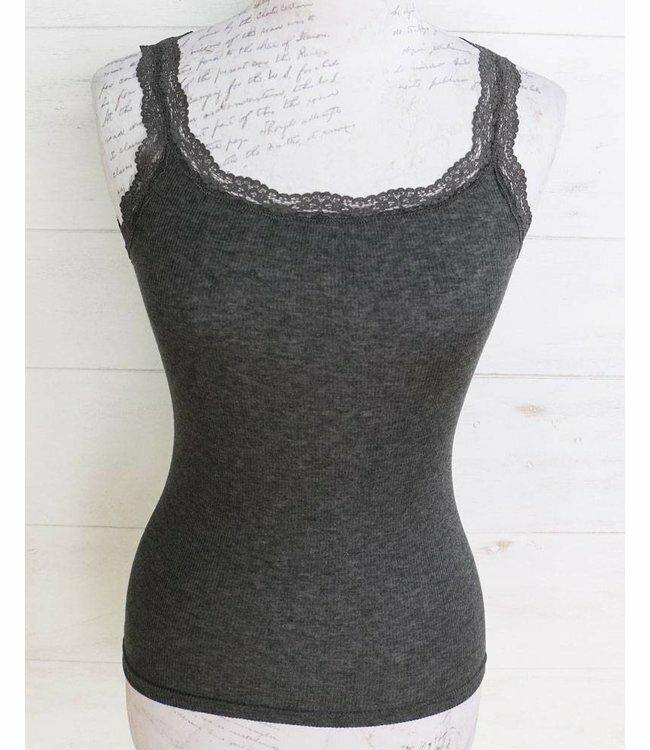 Feminine basic stretch top, dark grey melange, made of a premium-quality, ribbed line and viscose blend. The neck and straps are trimmed with beautiful, soft lace. Wear the top under a blouse or jacket.